Ceramic fiber cloth for sale is a kind of refractory insulation materials with excellent properties of high temperature resistance, low heat conductivity, thermal shock resistance and low heat capacity. 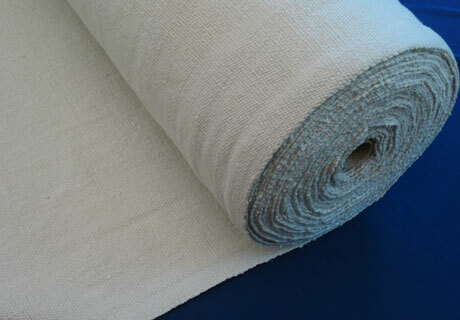 Refractory ceramic fiber cloth is mainly used for fire protection and expansion joint seal in the furnaces and kilns. 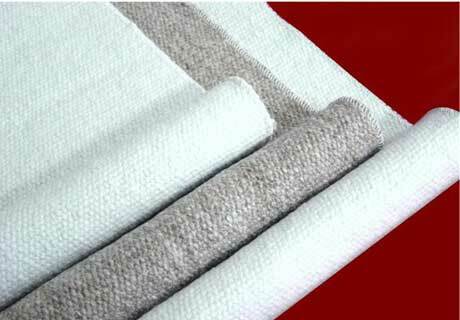 Ceramic fiber cloth as a kind of refractory cloth insulation can resist high temperature and save heat energy. Specifications and models of ceramic fiber cloth is 1.5mm-6mm, generally is 1m. 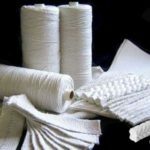 Ceramic fiber cloth is divided into nichrome wire reinforcement, stainless steel wire reinforcement, glass fiber reinforcement, ceramic fiber coating cloth, ceramic fiber slag receiving cloth, ceramic fiber sintering cloth and ceramic fiber fuming cloth. Temperature can reach 1000℃ when continuous service and reach up to 1260℃ when service for short time. 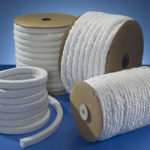 Ceramic fiber cloth, strips and packing with alkali-free glass fiber as the reinforcing material have higher electrical insulating property and high temperature electrical insulating property than glass fiber. 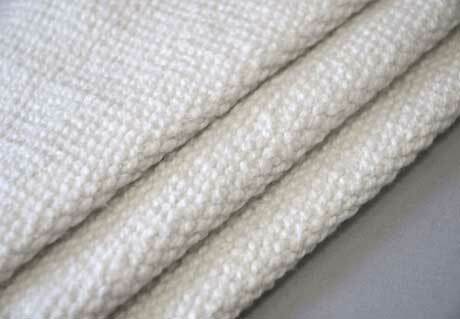 Ceramic fiber textiles contain about 15% organic fiber. When use it at the first time, with the temperature rising, organic fiber in the products will carbonize to black and along with phenomenon of smoking and there may be little flame in part position, which is normal phenomenon and will not affect use. With the temperature keeping rising, products will become white color, the organic fiber has been already completely carbonized and there left high temperature resistance inorganic material of ceramic fiber etc. in the products. Rongsheng refractory factory as a professional kiln refractory bricks and materials manufacturer can provide customers with all kind of quality and cheap ceramic fiber products, such as ceramic fiber cloth, ceramic fiber board, ceramic fiber blanket, ceramic fiber rope and etc. If you need any refractory products for furnace or kiln application or if you just want to learn some refractory materials’ application, please contact us! We will be always glad to reply you!